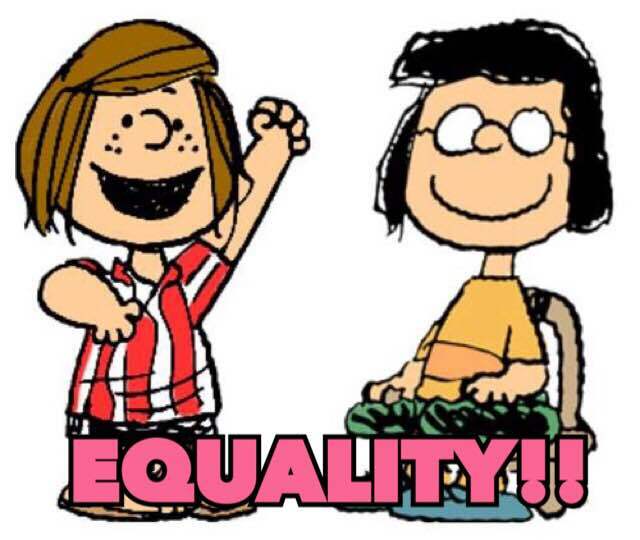 It’s been 25 days since the Supreme Court of the United States ruled in favor of equal rights and equal dignity for all Americans. 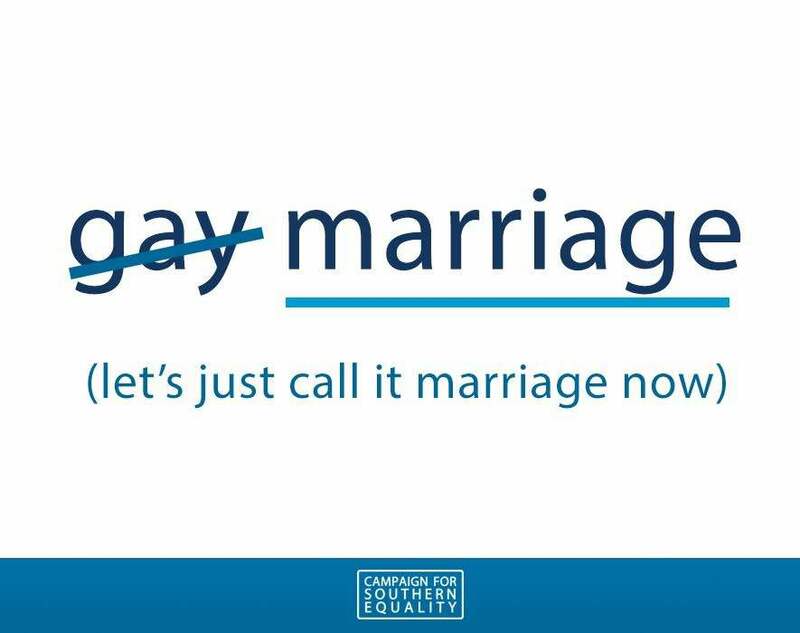 Call it Gay Marriage, call it Marriage, call it what it is, a Human Right that is afforded to Americans based on our Constitution. I’ve been meaning to write about this momentous day for a few weeks, but just haven’t had a chance. I also wanted it to settle in and I wanted to feel it. 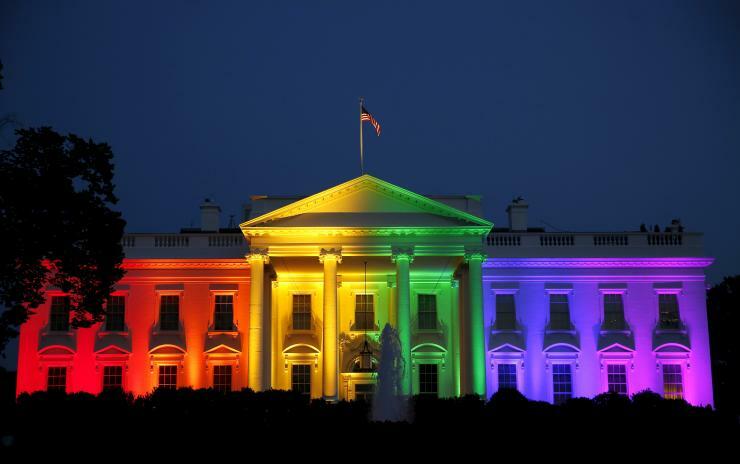 On June 26, 2015 LOVE did win. 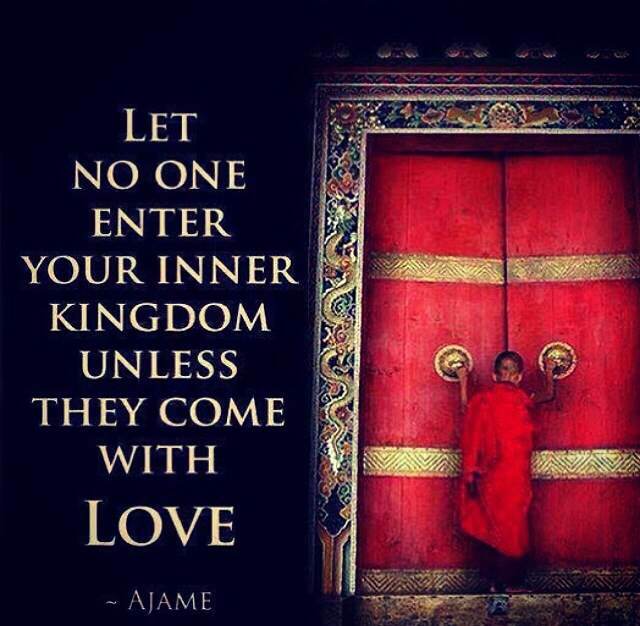 We should never let anyone into our hearts if they don’t enter with love. 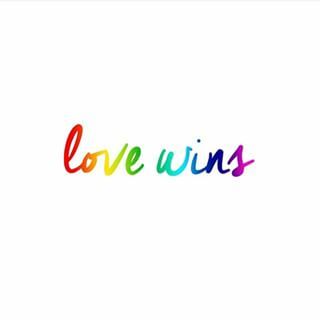 With all the hatred around the SCOTUS decision and the fight over equal rights, “Love Wins” is one of the truest messages. As the late, great Whitney Houston once sang, “Your love is my love and my love is your love.” We all love. We all want to love. We all want to feel love. If two men or two women find love, let it be, please! Who’s to say that your love is more right than my love or my love is more right than your love? Life, this journey, is hard enough, why make it harder by fighting over love? Let love be. 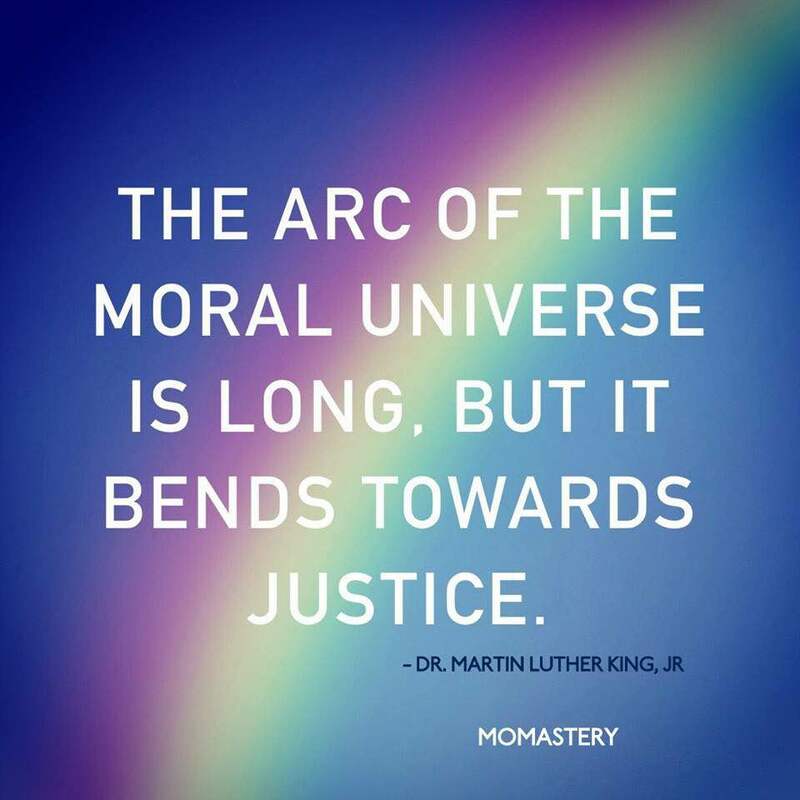 Let us move forward allowing everyone to love. 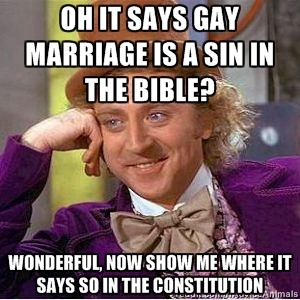 So here’s my perspective as a non-religious gay man, it’s a separation of church and state. Our forefathers wrote that into the constitution for a reason. For so many years I have been arguing the point that I’m not asking to get married in your church. 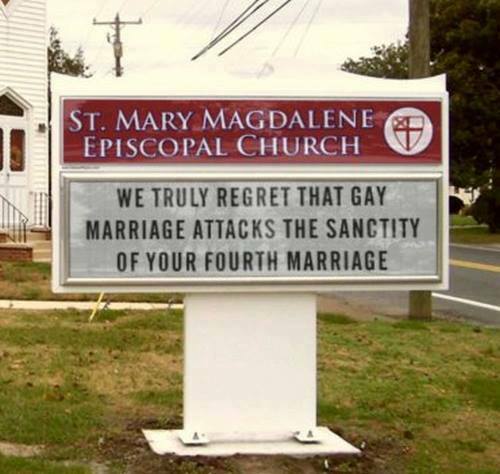 I’m not religious, so I would never get married in a church. If you want to that is wonderful, for you. “Life, Liberty, and the pursuit of Happiness” is part of the Constitution(state, “government”), and if my happiness means marrying a man, then I get to do that. Marriage comes in two forms. 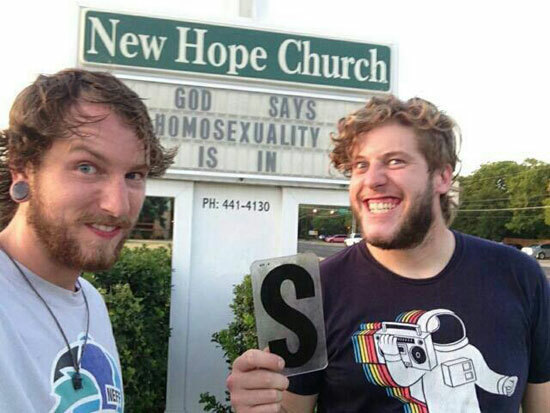 There is a ceremony(the church if you choose) and there is the license. With the legal part of a marriage license come rights that heterosexual couples have always had. These are the law, not the Bible. These are the state, not the church. 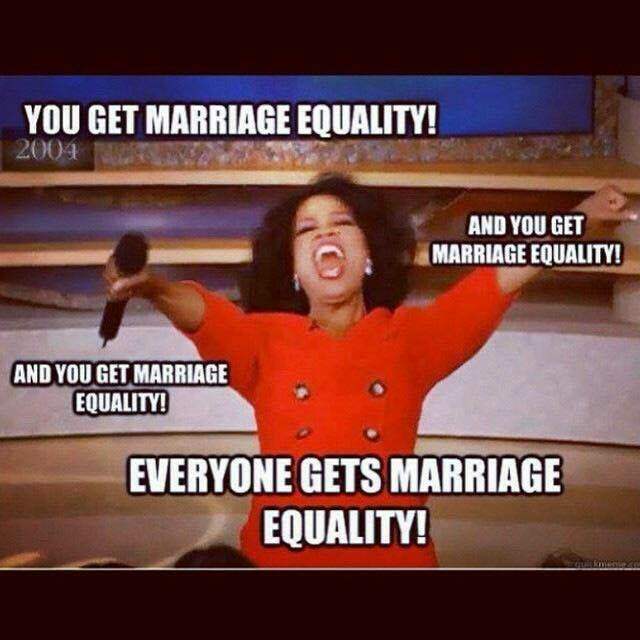 No matter what you believe marriage is, one man, one woman…two men or two women…everyone should be given the same legal rights of marriage because we live in America and we all should be afforded the same rights. Now, because SCOTUS ruled in favor, it is the Law of the Land, as it should be, as it always should have been, as it now will be forever more. 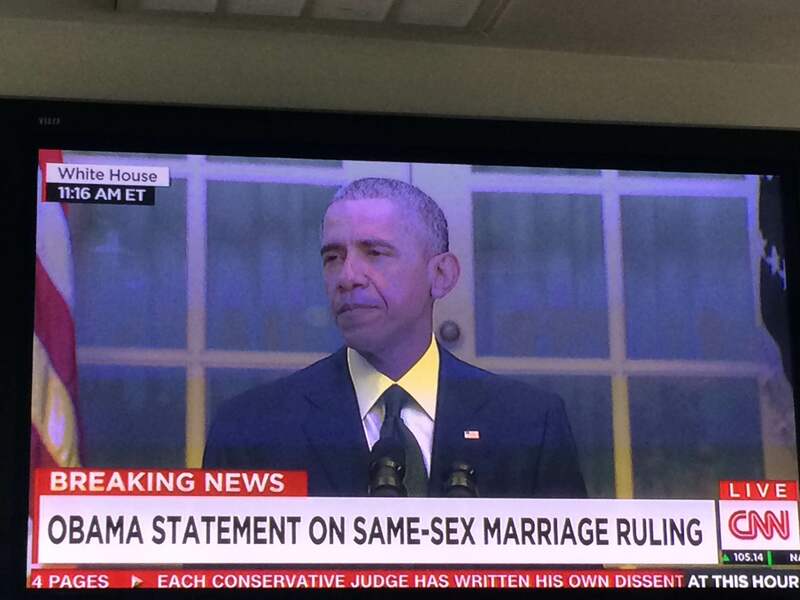 Ever since President Obama came out in favor of gay marriage, I felt things would pick up speed, and they sure did. People have differing opinions on when and how Obama “evolved” into believing in the right for gay men and women to marry. He is a politician and our country is so divided that of course he didn’t come out and fully support gay marriage until after he successfully won his second term. Say what you choose, but what matters to me is that he did and I always felt he would, once he was a second term President. 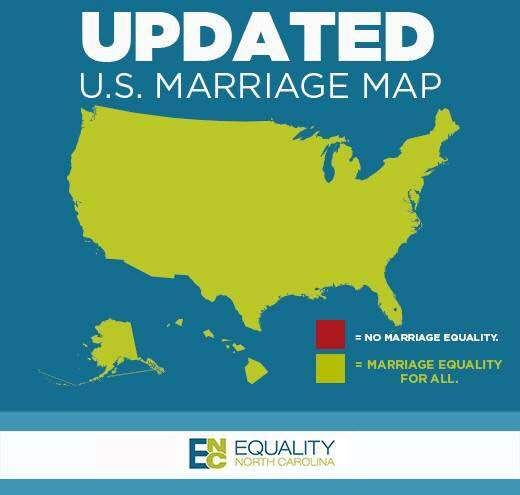 When President Obama took office two states recognized gay marriage, seven years later, all 50 states recognize it. I believe that when the leader of the free world came out and supported equal rights, the slope slipped in the right direction. Call it political posturing, or whatever, Obama had to do it the right way and he did. Thank you Mr. President! 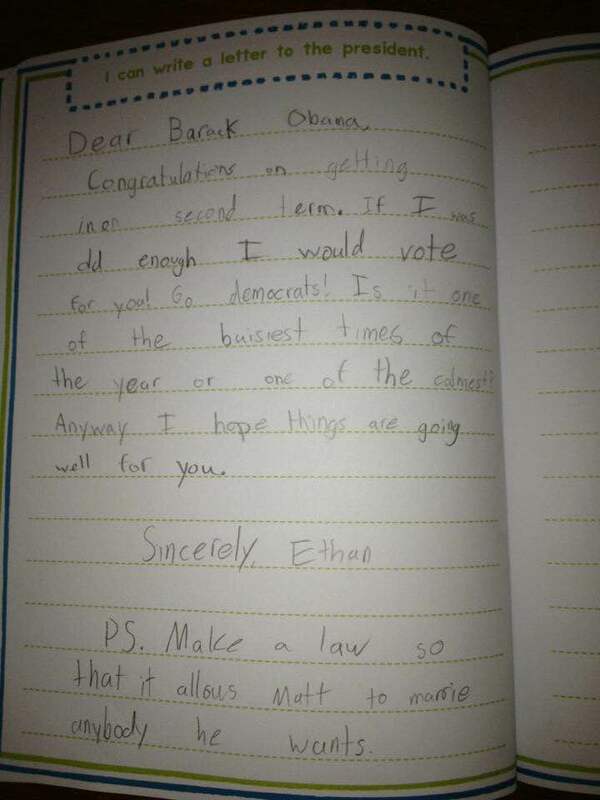 Several years ago, my friend’s son wrote a letter to President Obama. He asked the President to pass a law so that I can get married. How wonderful, right? E has known me since the time he was born. He and his sister have grown up in a time that gay men and women have just been part of social media and their personal life. In my opinion, he’s been lucky enough to have several “Guncles” in his life, and we are lucky enough to have him in our lives. This now middle school boy just accepts love as love, couples as couples, people as people. My hope is that his generation is growing up knowing that “love is love”. 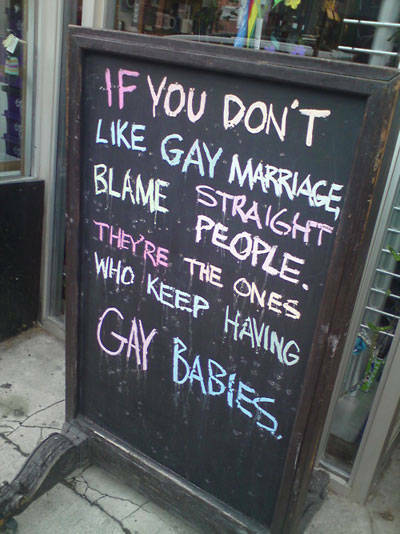 They are going to be the first generation that doesn’t quite remember the time of marriage vs. gay marriage. He and his generation will know only, MARRIAGE. Speaking of the younger generation, did you see this 7 year-old girl stand up to a homophobic preacher? 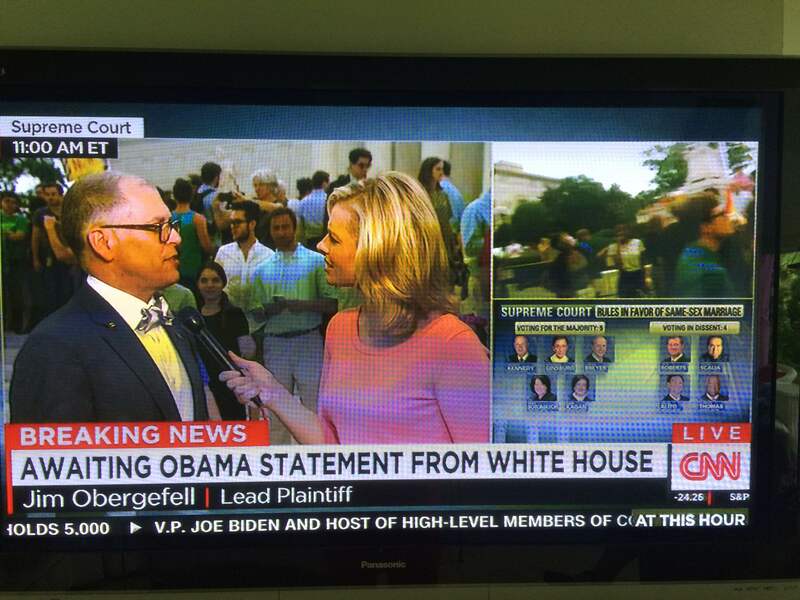 It’s quite wonderful that I was home in Michigan visiting my family the day of the SCOTUS decision. My five and six-year-old nieces’ take on the day’s events, “Can we be your flower girls and wear pretty dresses?” Again, this young generation will not remember a time when marriage was talked about separately. 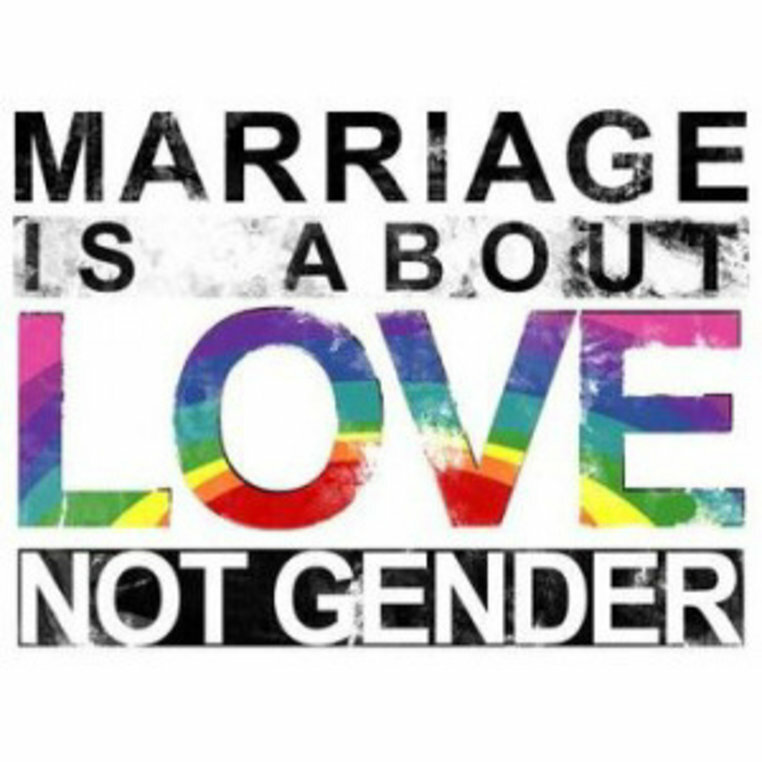 They will only know marriage as a celebration of love. How wonderful is that? So what does this all mean? 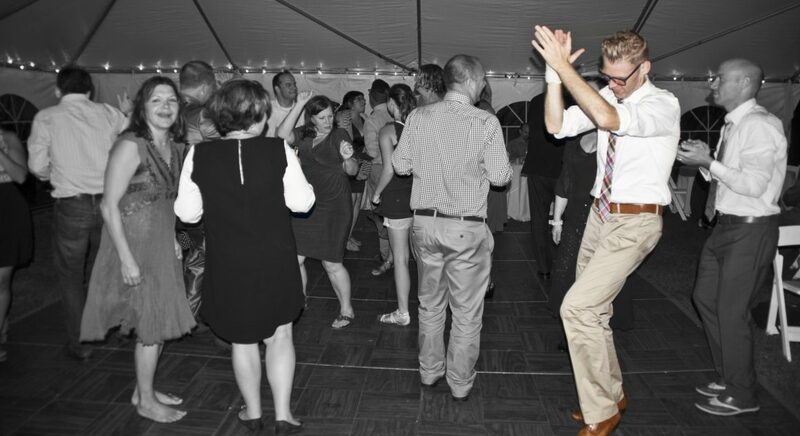 I think Frank Bruni writes about it best in his article “Our Weddings, Our Worth” from the New York Times. It’s about worth. It’s about EVERY American feeling worthy and feeling noticed and feeling dignified. This blows my mind because it is exactly how I feel when Bruni writes, “And that’s because the Supreme Court’s decision wasn’t simply about weddings. It was about worth. 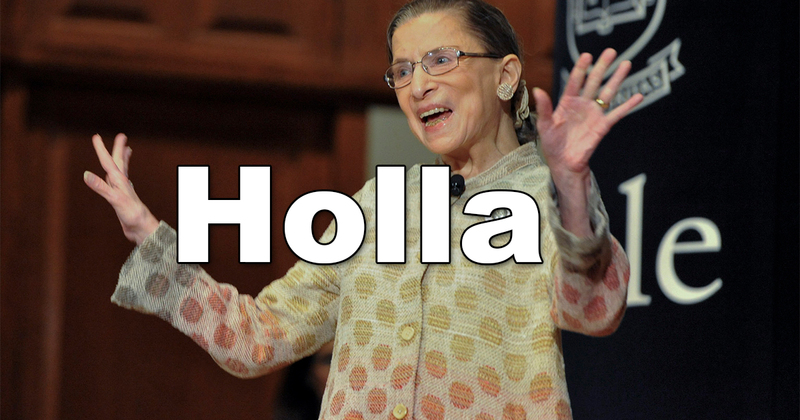 From the highest of this nation’s perches, in the most authoritative of this nation’s voices, a majority of justices told a minority of Americans that they’re normal and that they belong — fully, joyously and with cake.” So what it means is that our young gay men and women can grow up in a time knowing that they belong and that they are normal and that they matter. And for me it means that I can get married and have cake!! As all of this settles in, there are still haters, some of whom want to lead our country like Ted Cruz who is calling for states not to follow the law. Um, Ted, it’s the law. You have to follow it. Sorry dude! 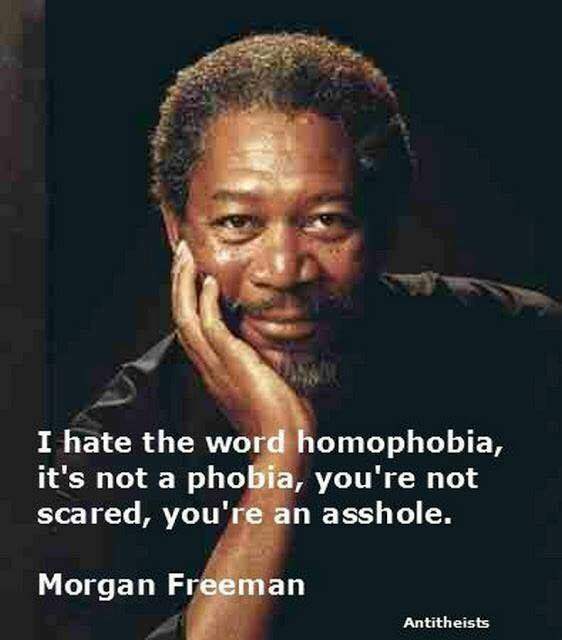 We must push that nonsense away(and not vote these bigots into office)and forge our path to love!! LOVE! While we do that, I would like to share some of my favorite moments and images of June 26th, 2015 and the days following via social media. That’s right, what makes being American and living in America so wonderful is that we can all have different opinions and we don’t have to agree on any of them. 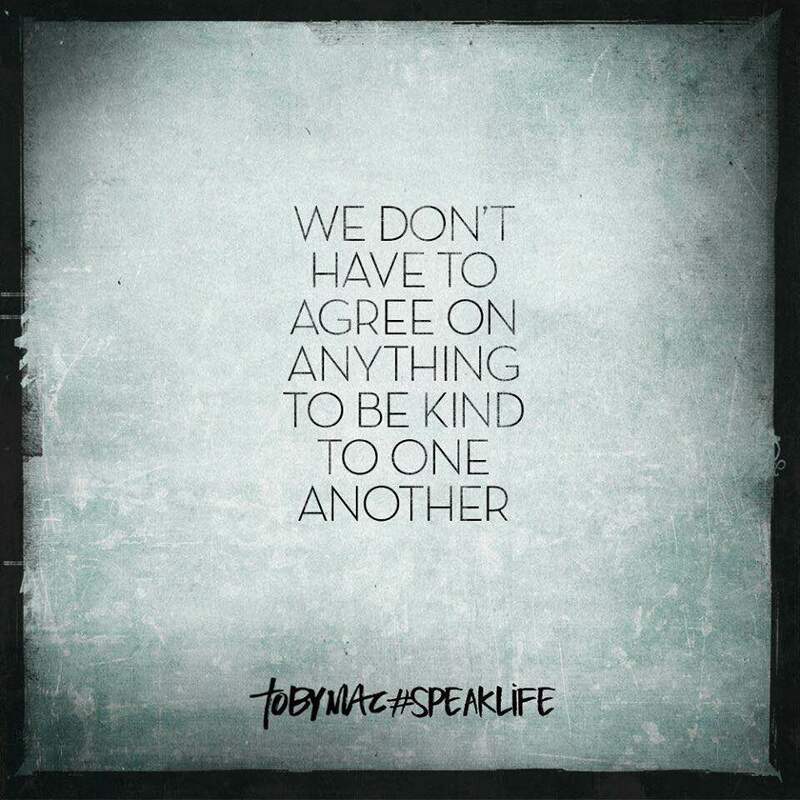 But, we should always be kind to one another and we all deserve the same rights. In the end, it’s about every American knowing that he matters, that she is worthy, and that we are all dignified. Justice Anthony Kennedy wrote the most beautiful final paragraph in his majority opinion ruling. No union is more profound than marriage, for it embodies the highest ideals of love, fidelity, devotion, sacrifice, and family. In forming a marital union, two people become something greater than once they were. As some of the petitioners in these cases demonstrate, marriage embodies a love that may endure even past death. It would misunderstand these men and women to say they disrespect the idea of marriage. Their plea is that they do respect it, respect it so deeply that they seek to find its fulfillment for themselves. Their hope is not to be condemned to live in loneliness, excluded from one of civilization’s oldest institutions. They ask for equal dignity in the eyes of the law. The Constitution grants them that right. 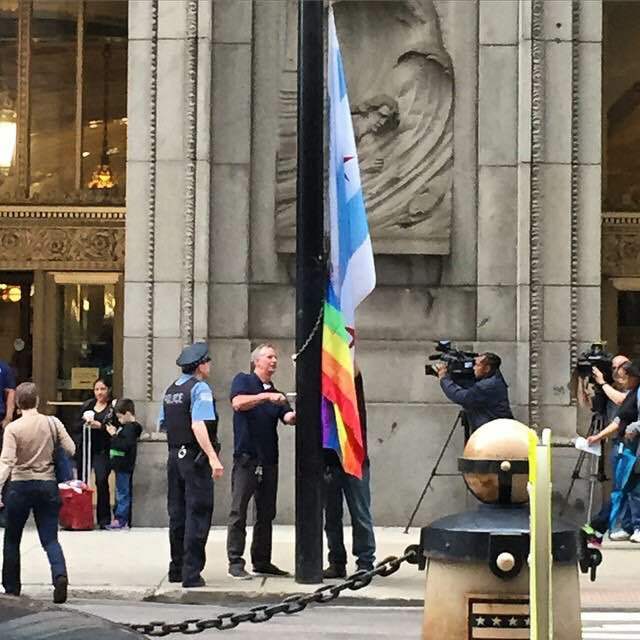 The judgment of the Court of Appeals for the Sixth Circuit is reversed. Now we move forward. 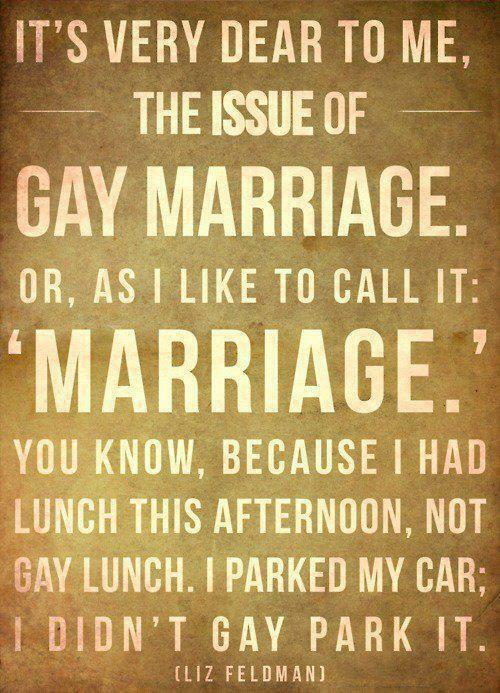 Let’s call it marriage. Let’s call it celebrations of love. 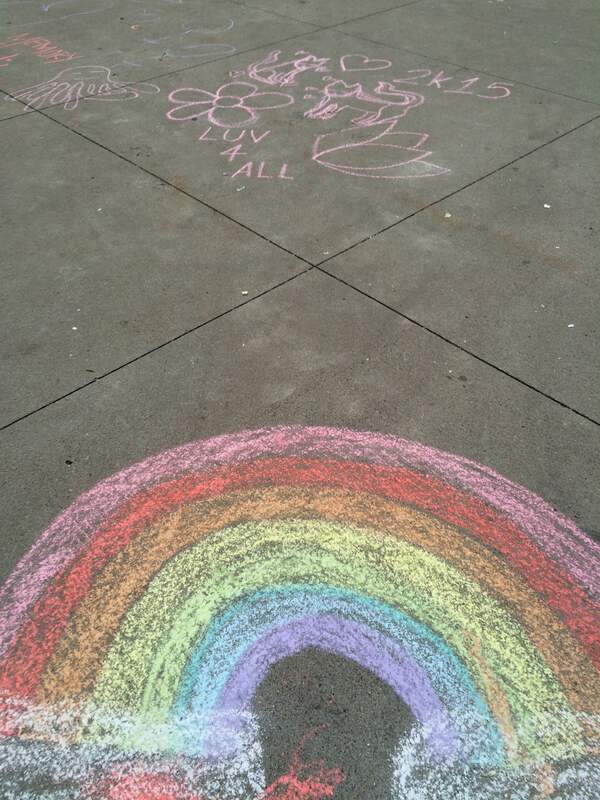 We’re all equal and we’re all deserving of human rights. 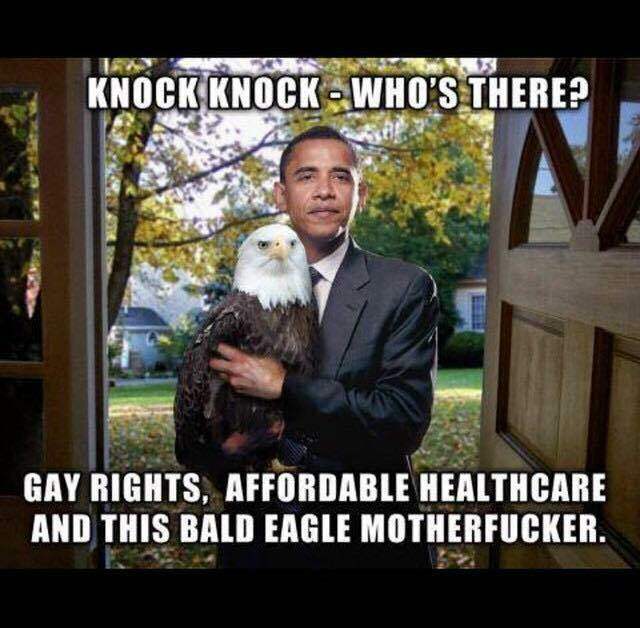 We are all deserving of the rights afforded to all Americans. So go ahead, you can just call it MARRIAGE now.